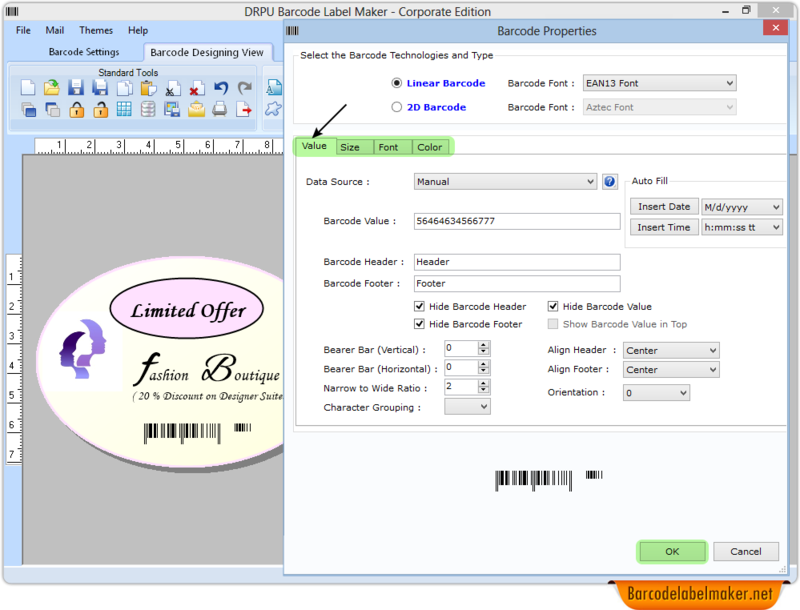 In "Barcode Designing View" using Barcode properties specify barcode value, header, footer accordingly and also hide them as shown in screen cast. 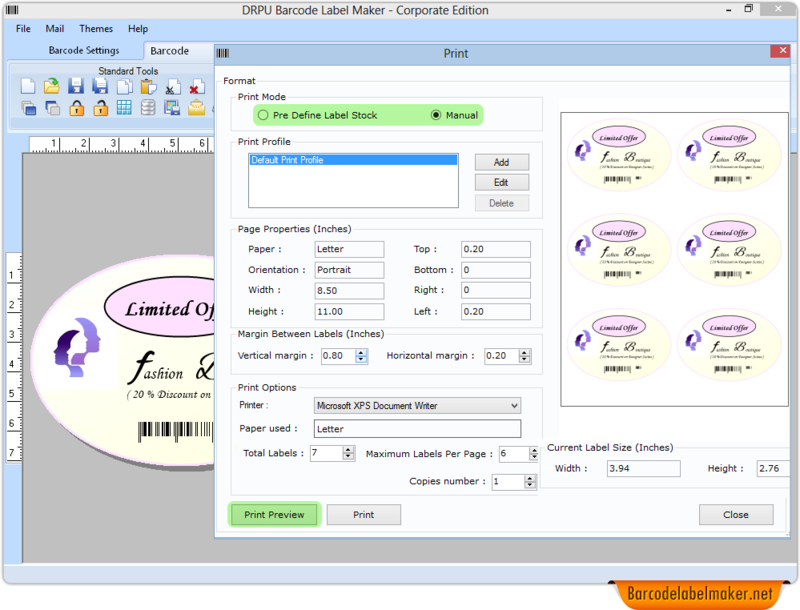 Using "Card properties" you can specify Card shape, name and border. 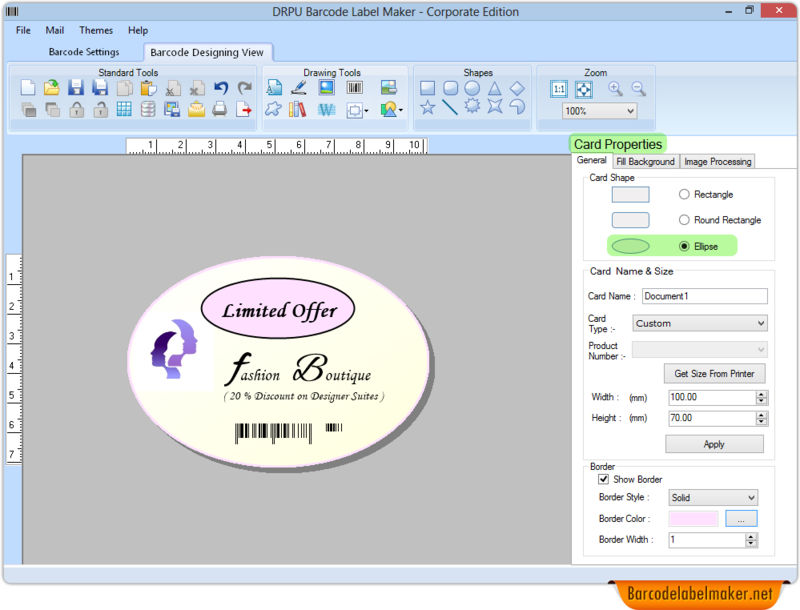 Print your designed Barcode images using Print Settings.